The hubby and I were just saying, it’s been almost a year since we moved from our country home to the big city. Although we’re still looking for a house, we continue to enjoy living downtown. With the convenience of a five-minute walk to work, I might never get Mr B to move. Especially since every night, we walk past the throngs of traffic, sitting in their cars while they try to navigate their way home. The high stress level of the crazy drive home is not something we’re missing at all. 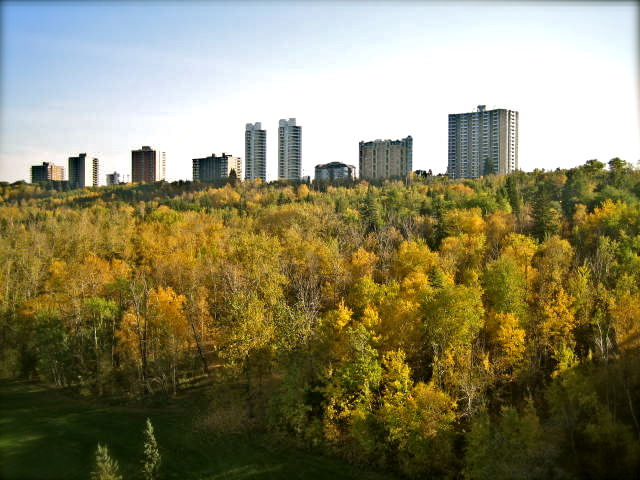 One of the best things about living downtown is our proximity to the beautiful Edmonton river valley. The trails are always vibrant with activities. There’s the runners, cyclers, gorilla’s and people walking with their dogs. We just love it. 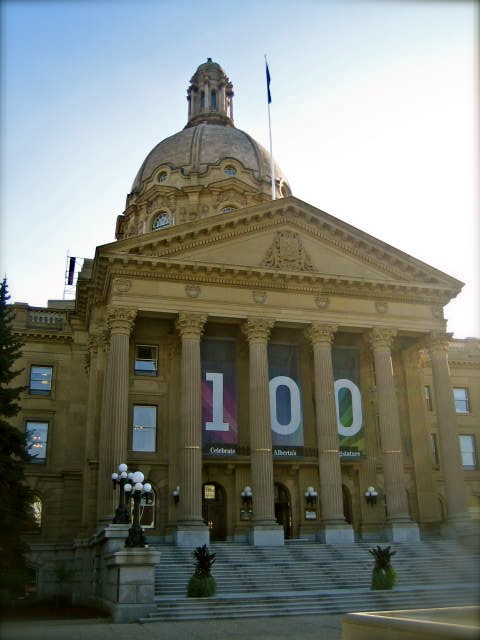 Downtown is also home to our Alberta Legislature. It’s an impressive site. There are perfectly manicured gardens planted with fall colors (the snap dragons are stunning) and of course the Legislature building itself. I was completed in 1912 and cost $2 Million to build at the time. The 100th year celebration was on September 2, 2012. A time capsule from 1912 was opened during the celebration. The capsule contained a Bible, coins, a scroll and photographs. Unfortunately, it did not survive well and the items were in poor condition (moisture?). Hopefully they’ll have better luck in 3012….can you even imagine that date? 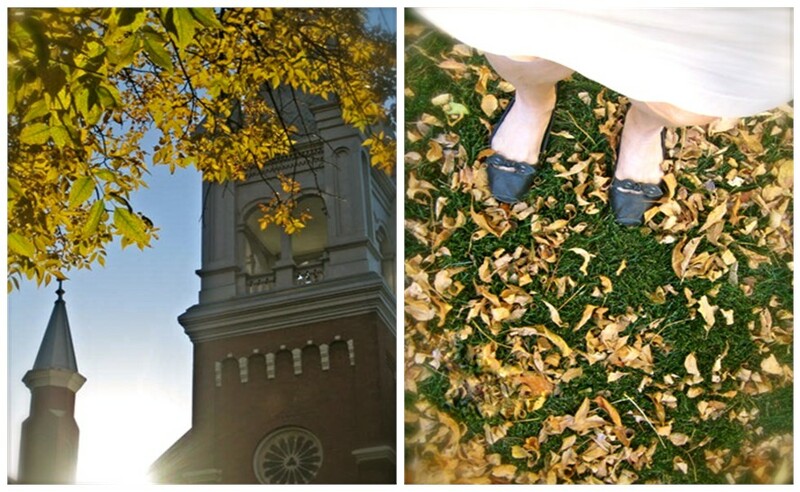 For me, fall has been a time of reflection and what better place to do it than the legislature grounds. The reflection pool and fountain are both calming and beautiful. 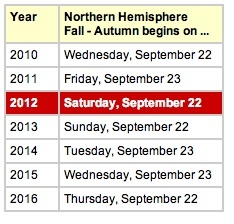 So there’s been anniversaries of all types to celebrate as fall arrives in Edmonton. Just look at all these golden leaves. It does seem summer is definitely over, I guess it’s Official. That Edmonton is such a beautiful city isn’t it? I love the picture of the river valley! Thanks so much for linking back Laurie, we do love the valley. There’s lots of activity to enjoy or if you’re a passive exerciser like myself, just a good long, brisk walk. Edmonton is rather unique in that the North Saskatchewan River winds back and forth thru a generous amount of the city. There is plenty of suburban sprawl too. Endless communities of similar homes squished together. We’ve never wanted that which is why it’s taking so long to find a house. What a beautiful city. I love fall and spring with equally gusto, with fall winning by a smidge. I love the smells in the air, the changing colors, cooler temperatures and pumpkins! What a luxury to be able to walk such a short distance to work. That would be hard to give up. That beautiful lake home must have been tough to give up as well. Life doesn’t always serve up simple solutions, does it. Lovely post, Boomdee. Makes me wish I was there. I did see that movie! It was really interesting how a few minutes and a change in direction, altered the outcome. Fascinating concept. 10 hours in a car is a very long time. After two hours I’m usually done. And you did it both ways! I would love to see a matinee with you, though. What fun that would be. We saw a preview a while back and it looks fantastic. I don’t know if anyone can outshine Redford, but Leo’s perfectly cast. With any luck, we’ll be in California then and we can go to the cinema together (fingers crossed). Oh wouldn’t that be fun! I loved the book. I read it twice, once at 26 and again a few years ago. I loved it just as much the second time. I’m a huge fan of DiCaprio as well. Did you see him in What’s Eating Gilbert Grape, one of his earliest movies, along with Johnny Depp? Great flick. Actually, I never saw that one. I’m not sure why because I love them both. I’ll have to watch for it on the movie channel. I really liked him with Kate Winslet in Revolutionary Road….I love the era. Good Morning lovely Smacki, did you bike to the office today? I bet Ottawa is gorgeous in the Fall. Hey, where abouts did the Big D drop the rock on your finger? That’s very romantic. We walk south on the west side of the Highlevel Bridge and back around on the East (getting both fall views) then thru the Leg. I think it was still 24 C and today 23 C…beautiful. We did walk thru last winter and found the music play at the rink with families and their little ones, couples and seniors all skating under the Christmas Lights….awesome. We all grew up skating outside and it’s very nostalgic. 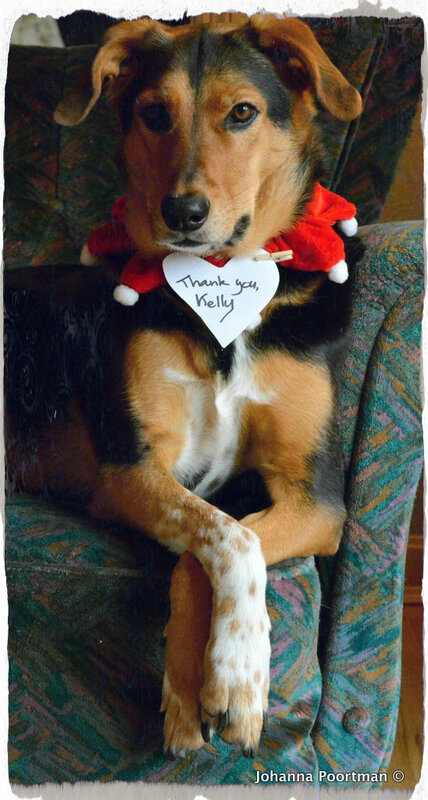 Thanks for popping in so early….have a great day!